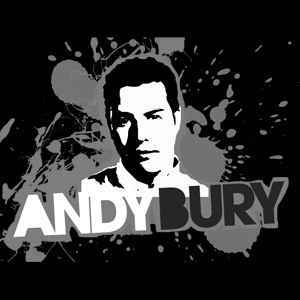 Andy Bury - The London-based producer, DJ and label head-honcho who records under many aliases throughout a multitude of genres including West End Hustler, Starjackers and ABX. Starting out as a pirate DJ in '89 spinnin house, hip-hop and soul, he eventually moved into producing 'acid/disco' house as part of 'Space Kittens' - debuting with the 1995 club hit 'Storm' which shortly followed with a series of high profile remixes. By the early noughties Andy went on to enjoy worldwide success producing and DJing as one half of legendary prog-trance duo 'Solarstone' after breaking the top 40 with the classic 'Seven Cities' as well as the top 10 remix of Planet Perfecto 'Bullet In A Gun'. Since leaving Solarstone in 2007 Andy has continued success with Starjackers (with both debut and follow-up singles achieving no.1 in many download charts) and remixed for mainstream artists such as Beyonce, Lady Gaga and Muse. Keeping his finger on the pulse he also manages and consults for a variety of cutting edge labels and artists, including legendary 'peoples DJ' Micky Slim, with whom he co-runs the electro/'fidget'/house label 'Bomb Squad'. Staying true to his prog-trance roots he also continues to act as head for Deepblue Records -the highly respected label which he co-founded in 1999. At time of writing his forthcoming track with long-term collaborator Dom Bud 'Something Happening' has been supported by Fatboy Slim as being "one of the big tunes of the year!". Future projects include a new track with 'Queen of House' Tara McDonald for Ministry Of Sound/Hed Kandi... plus a plethora of new tunes with fellow-London producer Dan McKie. A. Bury, A.Bury, Andy 'ABX' Bury, Bury, Bury, A.